If you're in the market for a sofa that will fill your living room with casual comfort, this is the perfect piece for you. This sofa features generously padded seat and back cushions as well as cushioned track arms for comfort everywhere your body will lean. Pair this sofa with other coordinating pieces in this group for a complete set that will look great in your living room, family room, or man cave. 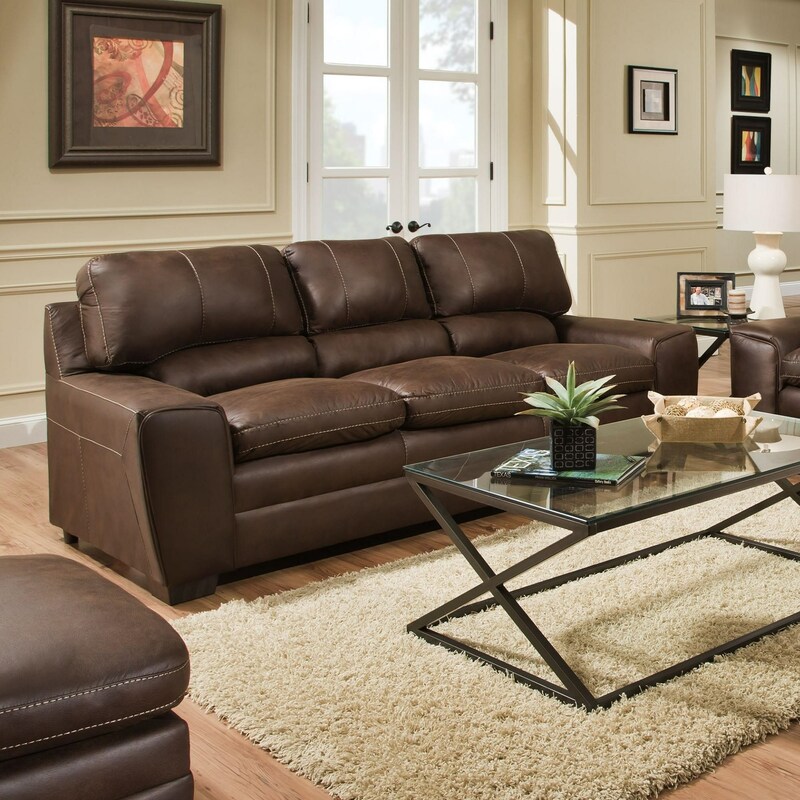 The 9085 Casual Sofa by Simmons Upholstery at Royal Furniture in the Memphis, Nashville, Jackson, Birmingham area. Product availability may vary. Contact us for the most current availability on this product.